When it's time for a tree to go, the best you can do for it is ensure it gets greeted with dignity and respect on its way out. A sloppy removal job will rob the tree of this just as much as it will needlessly place you and others in the proximity of danger. Let us help – our arborists have experience removing trees tall and short, thin and wide and with every assortment of branches you could think of. Because of the extent of the operation and the manpower involved, a tree removal gig is frequently the most expensive service offered by a tree trimming contractor. Hence, plenty of tree service 'pros' won't be all that hesitant about removing a tree as soon as you ask them to without even giving you an estimate first. Since we go above and beyond, it's our duty to let you know what we think about your particular request for removal – we will likely honor it regardless, but you should know what you're getting yourself into. Among the most valid causes for tree removal are infection and disease. Saving a tree is always in our best interests and we'll do everything in our power to remove affected branches and try to boost the tree's natural defenses with certain substances. Unfortunately, all the efforts in the world won't help a tree that's been caught by infection past a certain point. Removing such a tree isn't just the most merciful course of action but also one that will maximize the safety of those in its vicinity. We will just as well entertain requests to remove trees for functional or aesthetic reasons (read: when their owners no longer want them). In these cases, however, we'll do our best to explain why trees are such amazing constructs and how difficult it is for a tree to grow into its matured state. If the owner still wishes to go ahead with the removal, we'll always oblige them – at the end of the day, our clients know what's best for them. Regardless of your motivation to remove a tree, you can fully expect it to be a daunting task that should not be handled by the everyman. For one, the tools used for tree removal often carry a lot of danger for the user when handled improperly – even bystanders can be harmed by flying pieces and debris. Once you've contracted us for tree removal, you don't even have to be present during the deed. If you insist on it, however, we'll explain the safety protocols and help outfit you with the necessary equipment so that you can safely bid your tree goodbye. 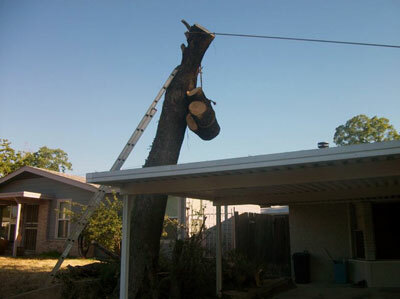 Each of our tree removal jobs is swift, efficient and on-point. We won't just remove the trees and take our paycheck – we'll also take care of transporting them to your location of choice or, alternatively, slicing them up into more manageable pieces. 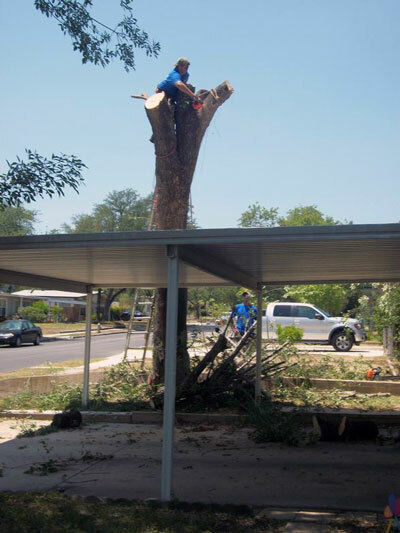 While figuring out what to do with a tree after it has been brought down tends to be a nightmare, our clients enjoy a hands-off approach as we take care of everything and leave behind nothing but flat ground and useable lumber.